Mother and her little daughter on morning jogging. Physical activity and healthy lifestyle concept. 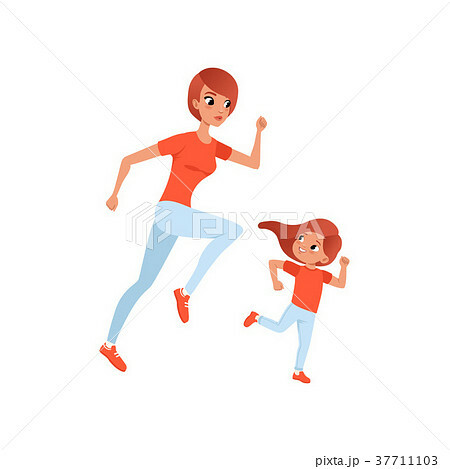 Mom and child in sports pants and t-shirt. Colorful flat vector design isolated on white background.